1 of every 3 visitors to websites now comes from mobile devices. Make sure your website is mobile friendly to engage and capture new customers..
Users accessing your website from a mobile device will automatically be re-directed to your mobile version website. Users have the option of calling your business by simpy clicking the "Call Us" button on your mobile version website (Just Click and Call, It's that easy for your customers). Customers will have the option of sending you an e-mail or subscribing to your business directly from your mobile website. With our analytics tracker you will be able to get FUll Reports on exactly how much traffic your mobile website is getting. AIMS Interactive can provide you with a QR Code for your smartphones customers to scan that takes them directly to your mobile website. Mobile is estimated by GOOGLE, that in as early as 2015 the mobile web will surpass that of the desktop which means that majority of the visitors to your site will access it from a mobile device. 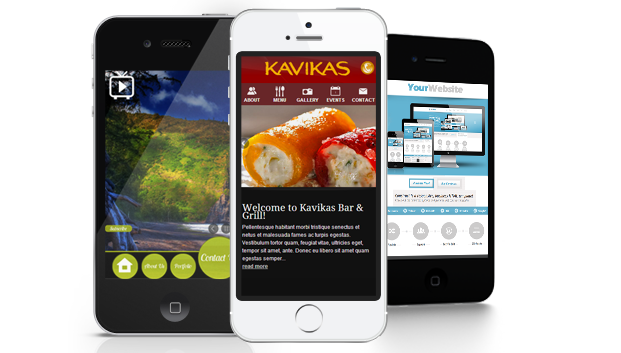 Is your business ready and equipped to engage and attract your mobile users? © 2015 AIMS Interactive Marketing Firm. All Rights Reserved.